I haven't done the last few Saturdays because I have no brain. I remembered today though! I know that swatching random nail polishes doesn't make for popular posts, but I need to get through my stash. So many untrieds, it makes me itchy! I'm sure you know the feeling! 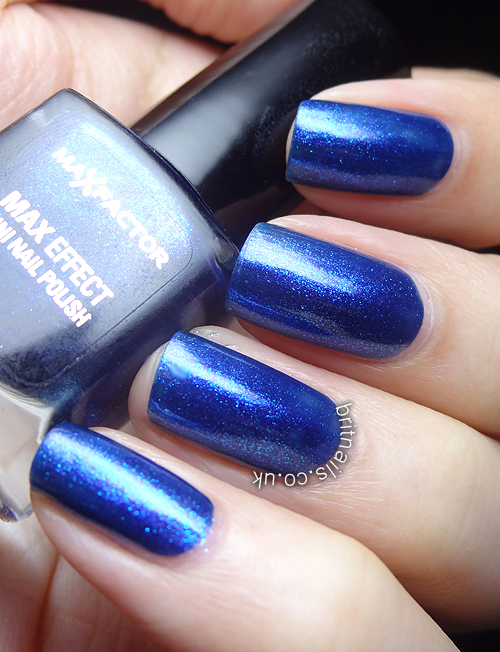 This is Odyssey Blue by Max Factor. 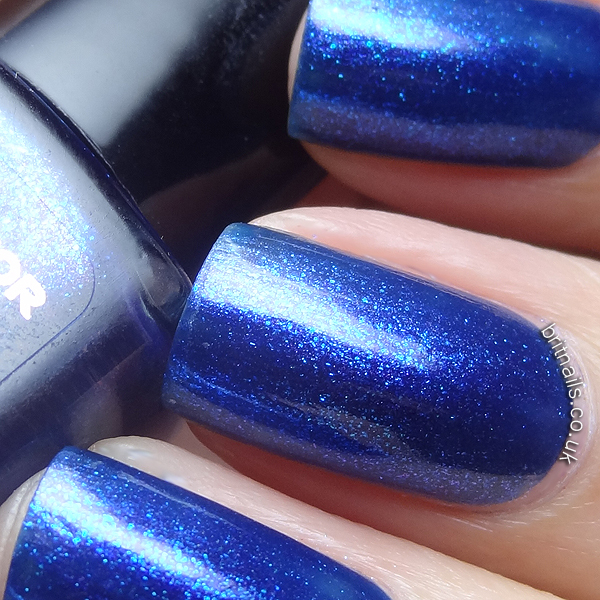 It's part of a range of mini polishes which include the famous Fantasy Fire. It's a super shimmering blue with subtle flashes of green and loads of blue flecks. That's so pretty, I wouldn't be able to stop looking at it!